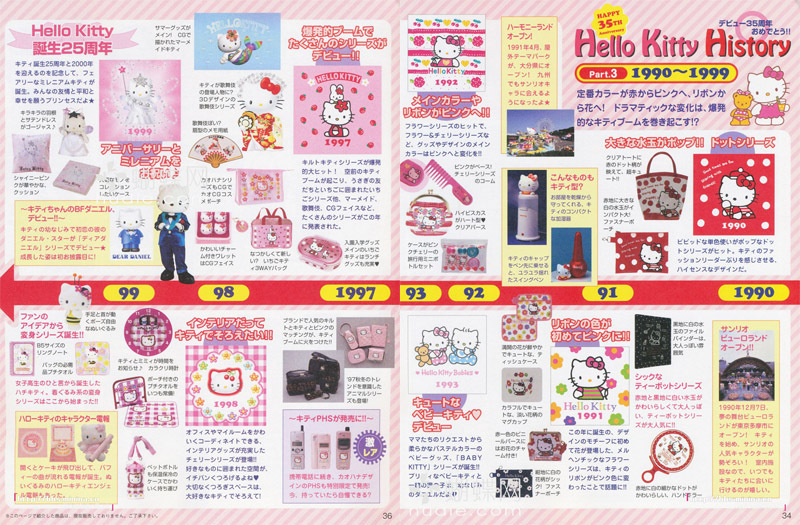 ekiBlog.com: Hello Kitty's 35th Anniversary mag scan! 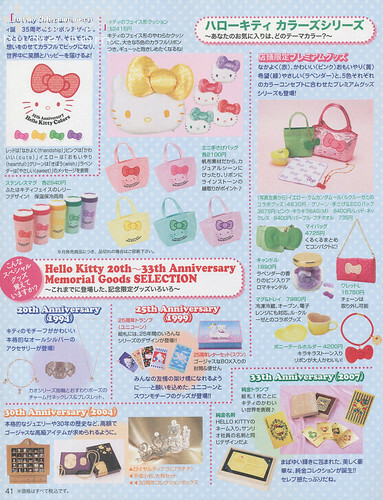 Hello Kitty's 35th Anniversary mag scan! 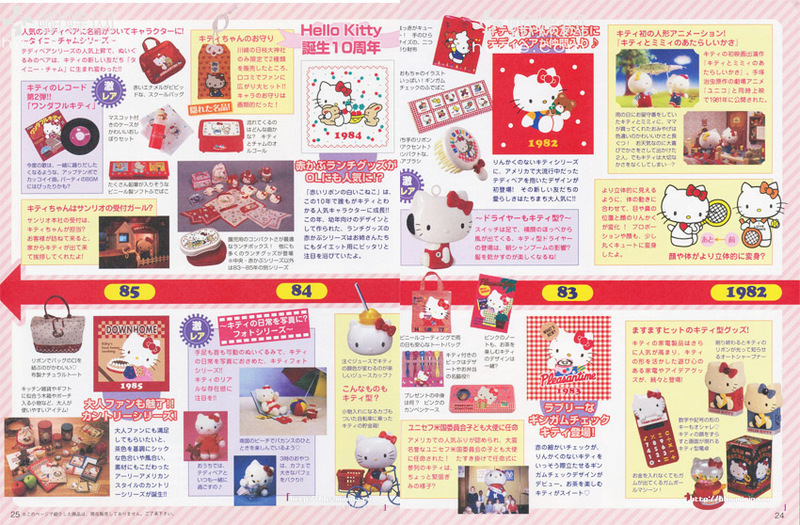 Hi Just wanted to share this mag scan to HK Lovers! 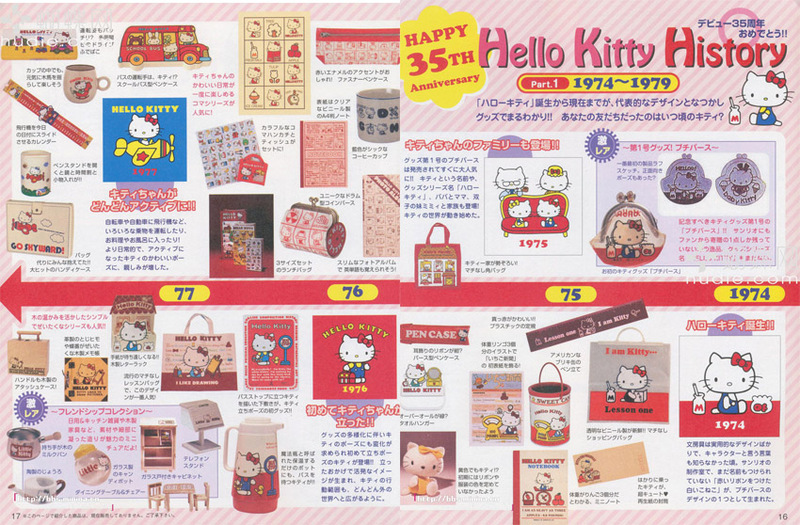 If you are Hello Kitty fan you know that this year was HK's 35th's anniversary! She is 35 years old now X3 But timeless and always been super kawaii! 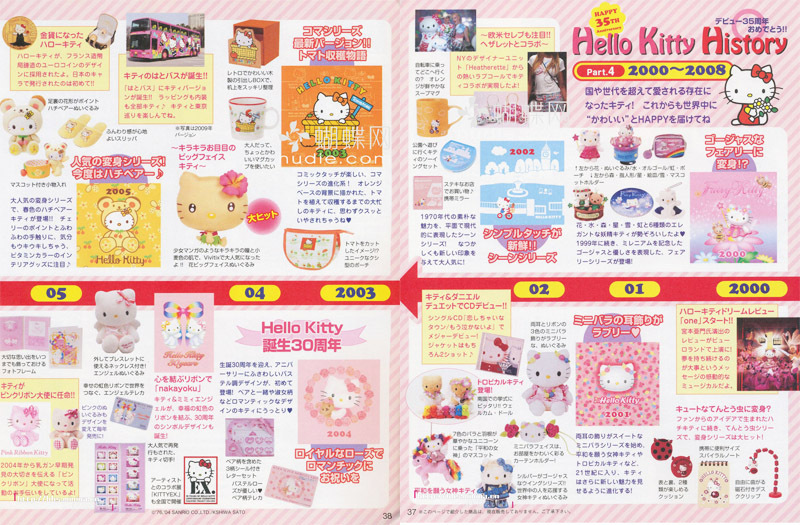 AS Long as I could remember glowing up in Japan every single girls owned Hello Kitty items, for birthdays I always got Hello Kitty or Sanrio gifts, it has always made me happy seeing the Sanrio items they are so happy and kawaii even today I find all sanrio characters adorable its ageless :D Even my mother adores HK! 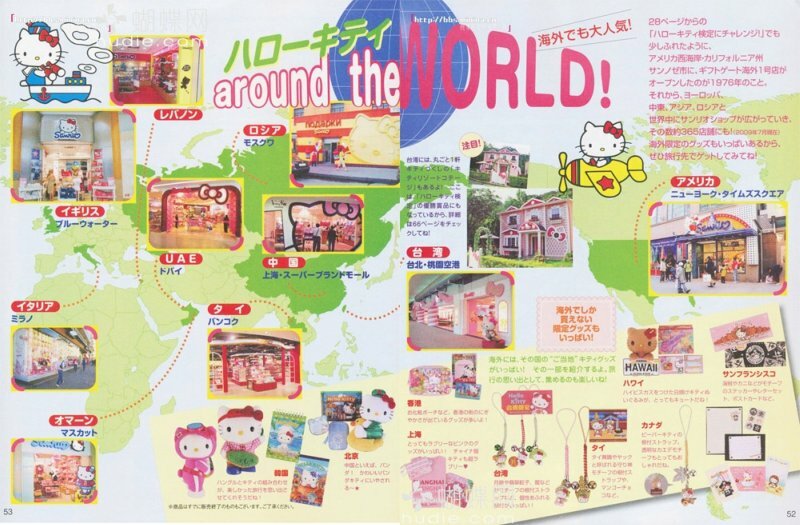 she told me that sanrio started out as a small gift and toy company in the 60's! Now she is an icon of kawaii and everybody knows who she is! 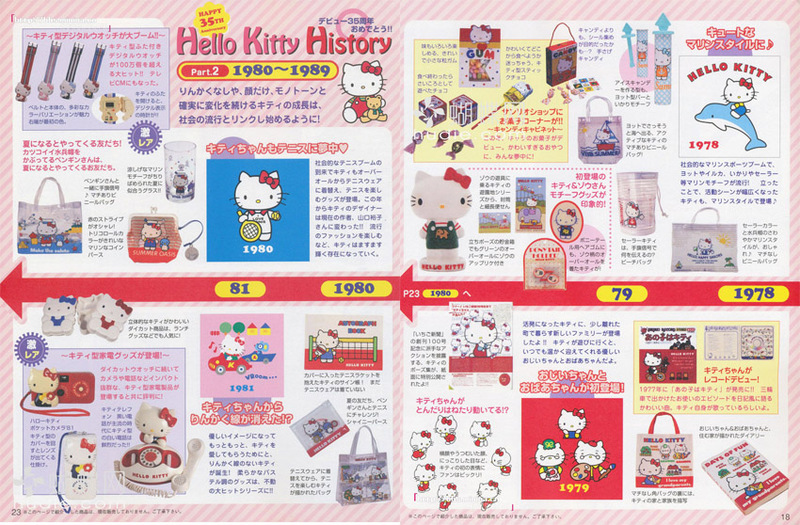 so here is Hello Kitty's 35th annivers mag scan featuring time line of HK items from 1974-2009, you can see that the Hello Kitty have always been super kawaii! she is the original of cuteness! oh my! 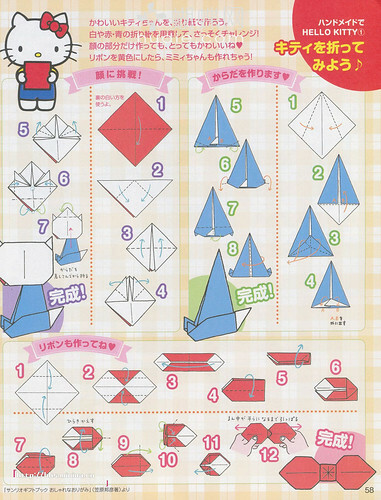 the hello kitty origami is cute! thanks for sharing!. 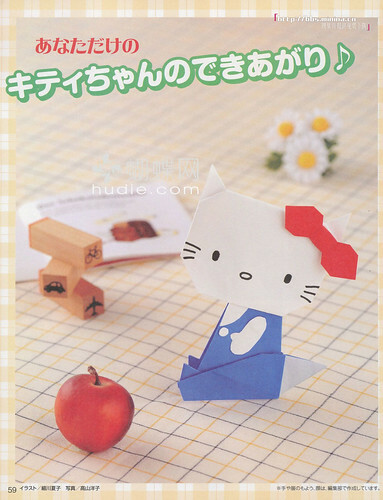 omg haha hello kitty origami! im going to attempt that soon. 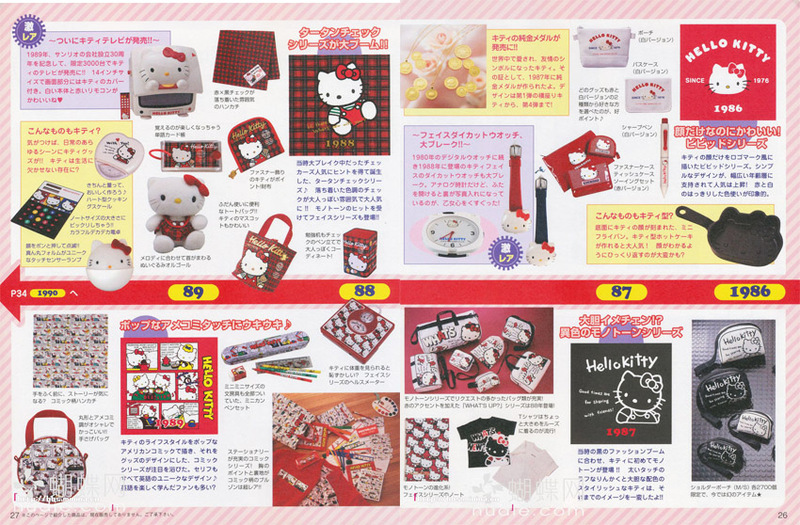 Isn't cool how you can get almost ANYTHING Hello Kitty-fied now?! LOL! Well maybe not to the HelloKittyHell guy, but oh well! 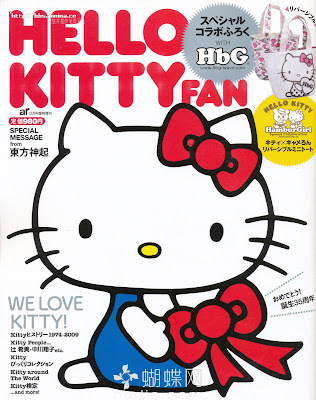 this magazine is totally kawaii! thanks for scans Eki! 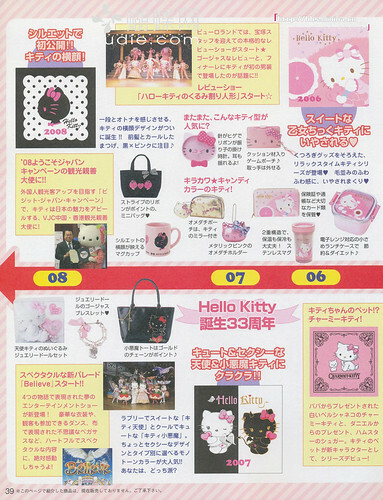 I really <3 Hello Kitty. so adorable and kawaii! She's so cute! Thanks for sharing! 35 years old and stil fabulous!!! 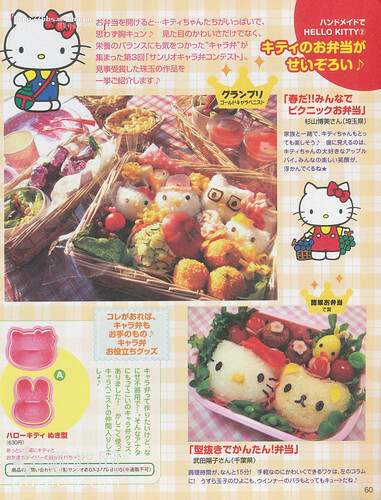 ;P i want the hello kitty food! haha! have a HAPPY SATURDAY eki<3! 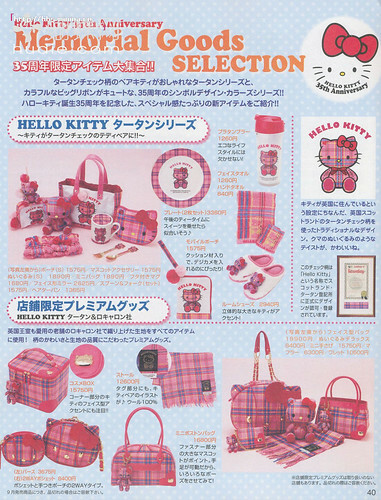 Eee I want all this stuff!! 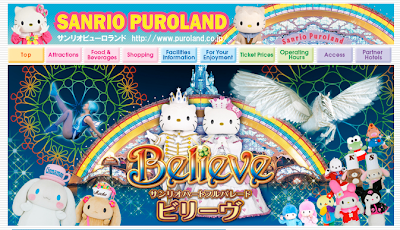 Omg I had no idea Sanrio had its own themepark!!!! Now I have yet another reason to want to visit Japan. Eeeeeeeeee - thanks so much for the scans!! 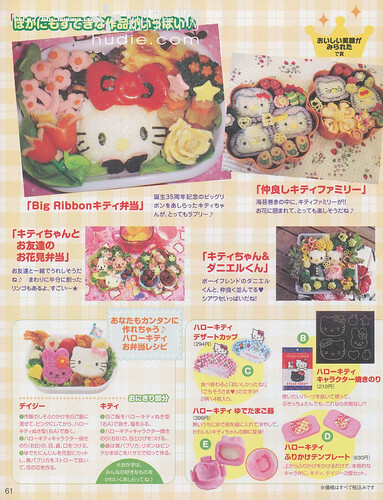 The Hello Kitty rice mold may be the cutest thing I've ever seen in my life!